Twilight moment, Shavuot, Israel's the second largest festival in Judaism (the first largest festival is the Passover), which was a joyful holiday last two-days (May 31st-June 1st) just came to an end. So what is the origin of this festival? Why is Shavuot so significantly important to the Jews? What will the Jews do on these sumptuous days? Shavuot, set up to commemorate God in Mount Sinai to Moses promulgated the "Ten Commandments" for day was just the fiftieth day when Moses led the Jews to leave Egypt (the fiftieth day after the Passover), so the festival was named " Shavuot ". Form historian’s perspective, Moses was universally regarded as the founder of Judaism, while the "Ten Commandments" were the Jewish laws of the present Old Testament, which were of great significance to the Jewish people. 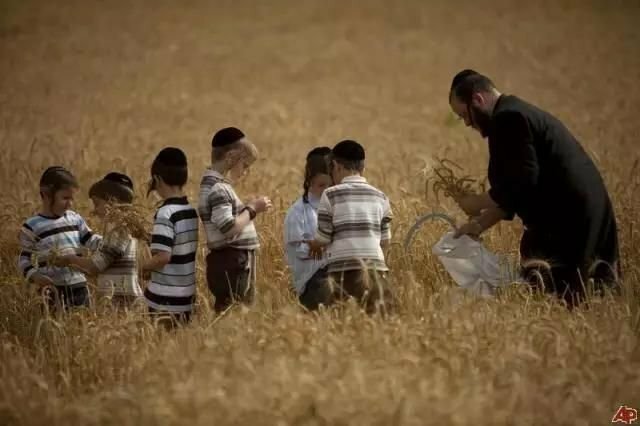 At the same time, Shavuot, also known as the "harvest festival", also is the days of the Israeli people to commemorate the harvest of agriculture. In this special day, the grain began to harvest, the first wave of fruit is also gradually mature. Why have the Passover and Shavuot become the firstly and secondly important festivals of the people of Israel each year? Because in the Passover, the Jews commonly believe that God gave a direction to Moses that led the Jewish people to leave Egypt and get free, which is on behalf of the Israeli people on the physical salvation. And Shavuot represents the salvation of the soul of the people of Israel, because God issued Moses the law that the Jewish people had the light of the spiritual guidance and was released from the spirit of the shackles. As a result, before the day before Shavuot, according to custom, the Jews would study Moses' law book Torah all night and pray. In ancient times the Shavuot, the Jewish people will harvest the first batch of fresh fruit and food to the temple of Jerusalem. To the modern times, this custom is gradually replaced by using flowers to decorate the home to make it a new look. 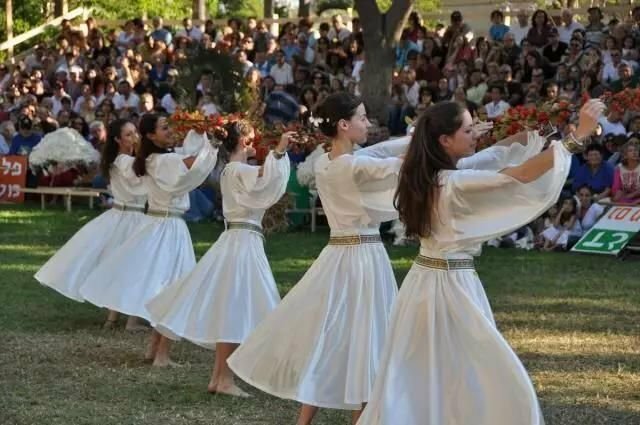 The beauty of the Israeli girls also bring colorful wreaths to celebrate the arrival of the festival. It is no exaggeration to say that flowers became one of the representatives of Shavuot. At this day, there is a very considerable custom is to eat and enjoy dairy products. In general, people will eat cheese cake or thin berry of "Blintzes" which is a Jewish signature, rolls of fruit or cheese. The reason why the Jewish people to eat dairy products, is that they believe that "Torah" is as fascinating as sweet dessert. On the day of the festival, people will get together to enjoy the feast of dinner which must have rice and milk to serve the meal. What’s more, it is worth mentioning that dairy products will have special cutlery. The traditional Jewish families usually have to prepare two or three sets of utensils. One set specialized for dairy products, the other specialized for meat, and also have one set for the day of Passover which is specially equipped with unleavened food utensils. Since Shavuot is a joyous festival, it is absolutely also naturally essential to stage a variety of happy activities and entertainment——Barbecue, concerts, festivals and the like. Advancing with the times is that in this day, no matter large or small business mall totally will carry out certain discount promotions, which gradually make Shavuot into a "shopping Section ". While at the same time, the Jewish people will insist on reading the "Ten Commandments" on the day of the festival. Although the Shavuot will have a day off, but the school will start a few days in advance to publicize the education of knowledges for the festival, especially in kindergartens, holding several festivals and diverse activities, including learning "Ten Commandments", visiting the ranch and so on. With the Jewish people attaching great importance to the education of the next generation, this kind of education not only includes history education, but also includes suffering education. The Jews will let the next generation have a consciousness about the vicissitudes of the nation and the foundation of peace of this nation, let their descendants get full understanding about that it is not easy for the stability of today's national, but even more impossible to forget the doctrine and spirit of the ancestors, which is this "heritage" of this kind of consciousness supports the nation always re-glory after suffering.